SB Win Logger Is A Personal Phone Call Recording Software. SB Win Logger telephone recording software uses your computer’s sound card to record telephone calls and makes it easy to quickly find past call recordings. Connect your telephone to your computer’s sound card with an adapter and the SB Win Logger telephone recording software handles the rest. 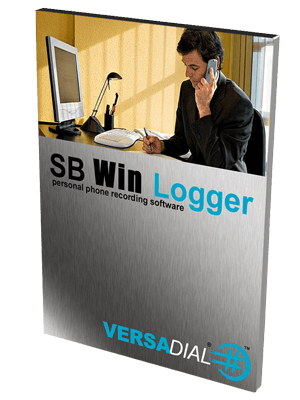 SB Win Logger is easy to use and is made by Versadial, a leader in enterprise level call recording. Please Note: Support for SBWin is limited. Please download and reference SB Win Logger manual here for any support related issues. For additional questions and resources on our call recording products please visit our FAQ/Resource page. Make sure your system meets the minimum hardware requirements including having the phone to sound card adapter installed before installing SB Win Logger. Download the free trial of SB Win Logger on to your computer’s desktop. Extract SB Win from the zip file by using a program such as WinZip. Double click the Setup.exe file. 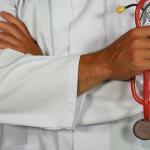 SB Win will quickly walk you through the steps of installing the software. Make a test recording. You can easily do this by playing a CD or mp3 file on your computer and using SB Win Logger to record it. You can then play back the recording to ensure that everything is working properly. Use SBWin to record remote agents and upload all recordings to a centralized office. Multiple SBWins may be used in a small office or a single remote agent and configured to upload recordings to a centralized VSLogger server, allowing for a centralized access point for all recordings. Once recordings are uploaded to the centralize server, you can login via a web browser and begin listening and playing back your recorded calls, conduct quality control and interact with your recordings. A centralized office that uses remote workers for part of their workforce. VSLogger is setup and installed within your centralized office. Standard licensing and configuration applies. If you have a remote worker, SBWin is installed on their personal PC; an adapter is purchased to connect between the headset and base of the phone, and then connected to the MIC input of the remote workers personal computer. See image above to the right. SBWin is configured as a satellite recorder. After each recording, the recording is uploaded to the centralized office and stored on the VSLogger server. Search and playback of these calls is conducted in the same manner as phones that are being recorded and stored at the centralized office. Note, some data will be missing compared to a phone being recorded internally, however, the audio portion and name of agent of the calls will be available.